Prices of this book are flat. It remains one to watch, but we are no longer really excited about this book. It's common and doesn't turn up in 9.8 shape much, due to its dark cover. All the Cloak and Dagger excitement has happened recently. 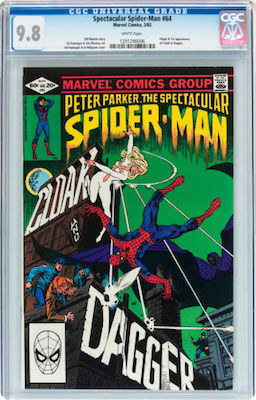 CGC 9.8s and 9.6s are still rising in value, but there is a lot of downward pressure on lower-grade books. Paramount Pictures struck a deal with Marvel Comics to create movie versions of many superhero books. 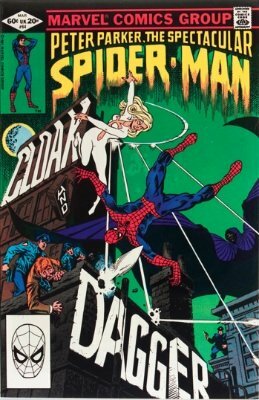 If you thought Guardians of the Galaxy was a surprising choice, then surely Cloak and Dagger is even stranger. There are so few key issues from this second-string Spider-Man series that it's nice to have another issue # to look for when collections are offered to us. Some of the shine has come off this book in CGC 9.8. It's a relatively common book after all. 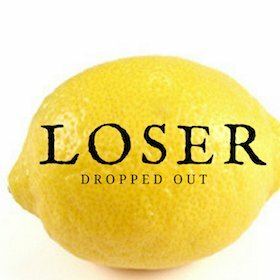 Still, that's the grade we recommend you look for.